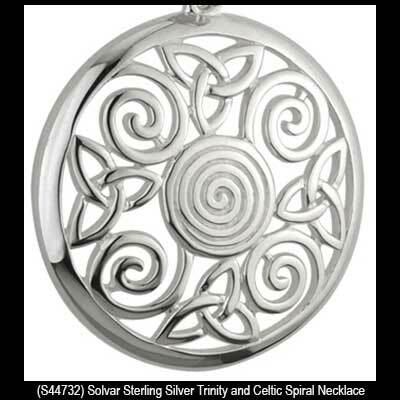 Sterling silver Celtic necklaces are offered in an assortment of styles and sizes that includes the Trinity along with spirals and Celtic love knots. 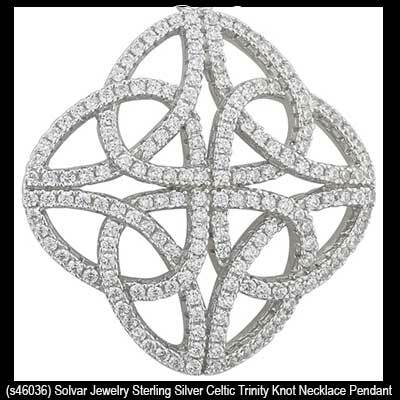 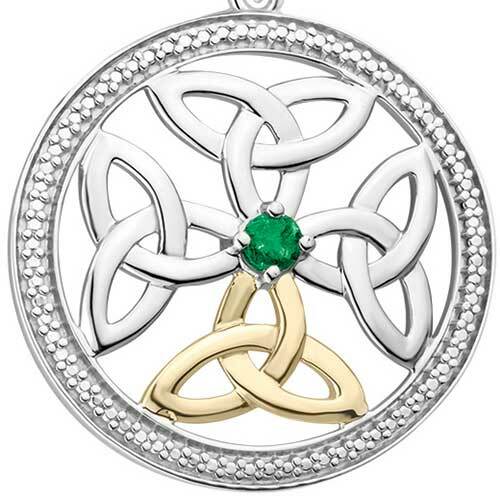 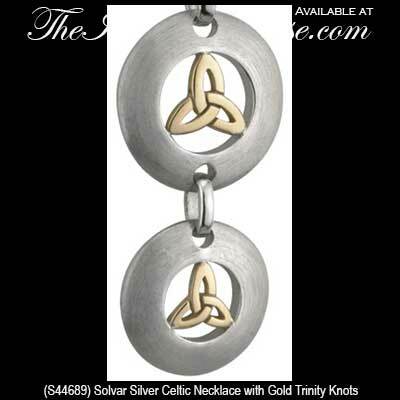 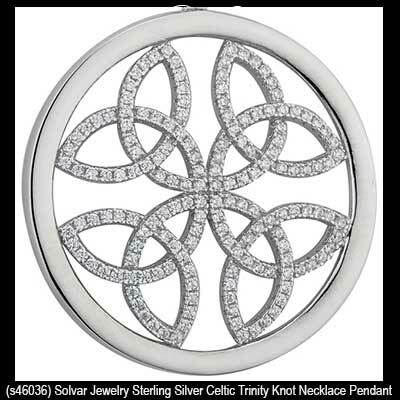 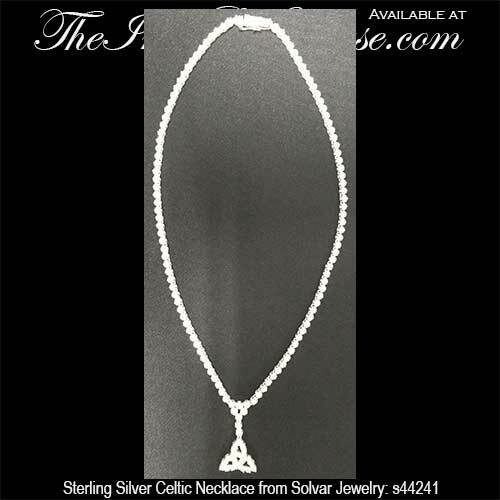 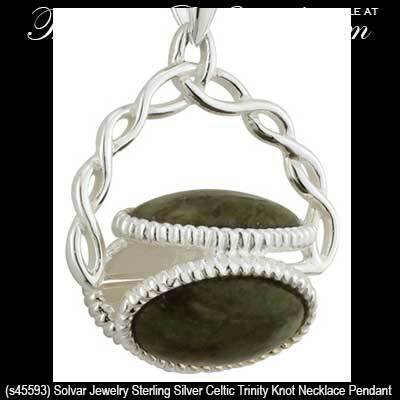 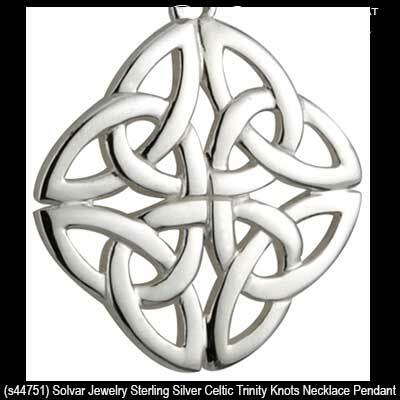 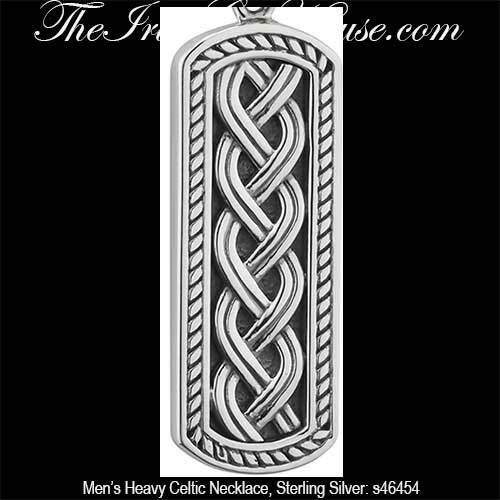 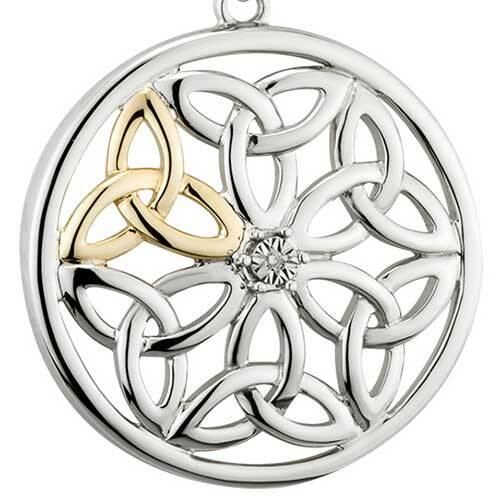 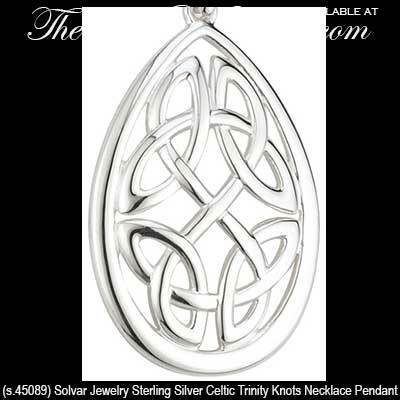 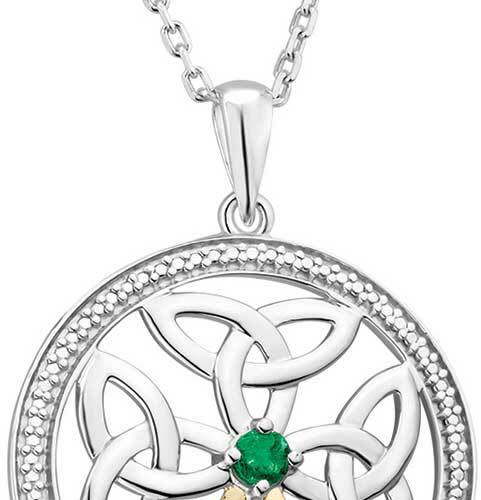 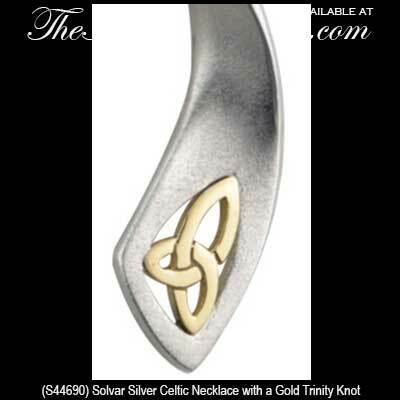 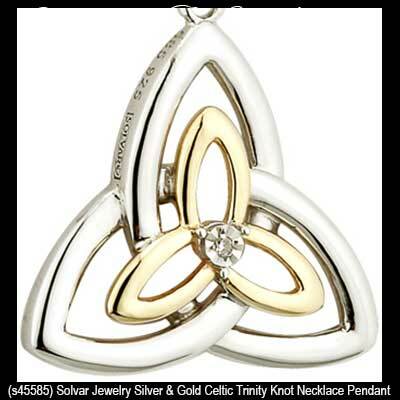 Choose from sterling silver Celtic necklaces that feature the classic Trinity knot or you may select from the many Celtic icons that have accenting that include Connemara marble or CZ stones. 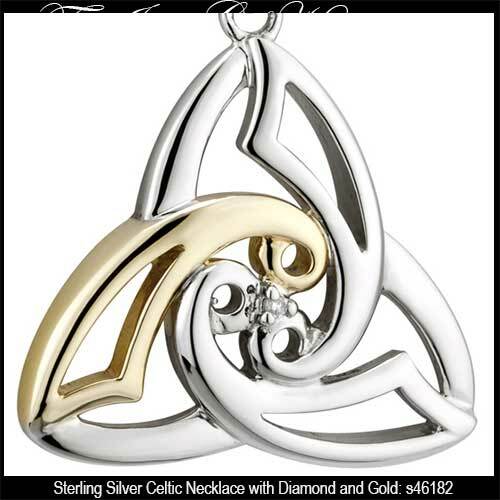 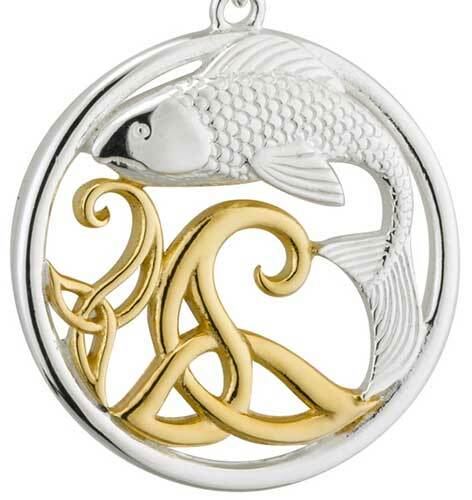 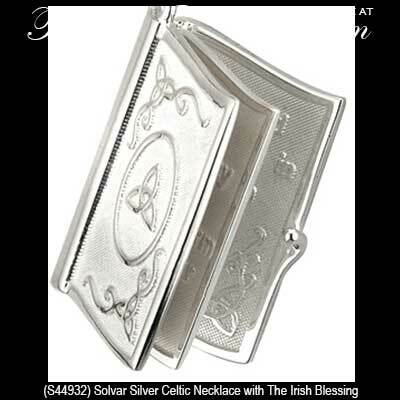 The Irish Gift House even has silver Celtic pendants that are accented with gold and diamonds to create a brilliant combination effect. 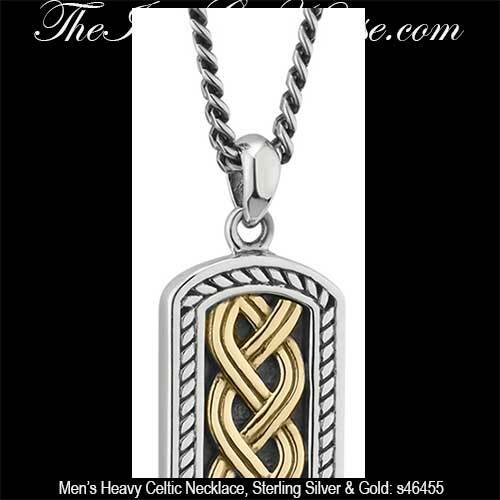 Additionally some of these Celtic necklaces are enhanced with marcasite stones while other are crafted in various shapes that include hearts. 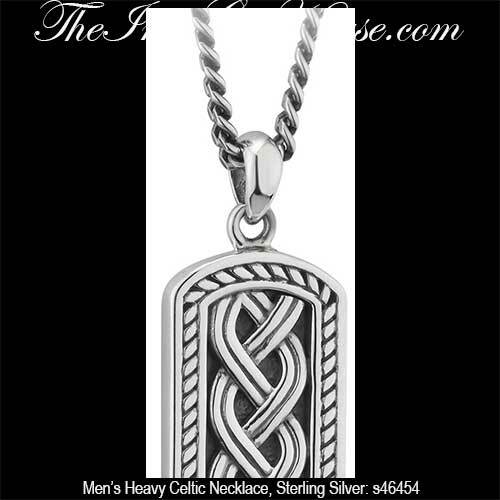 All of these Celtic necklaces are made in Ireland and have been hallmarked sterling silver by the Irish Assay Office at Dublin Castle. 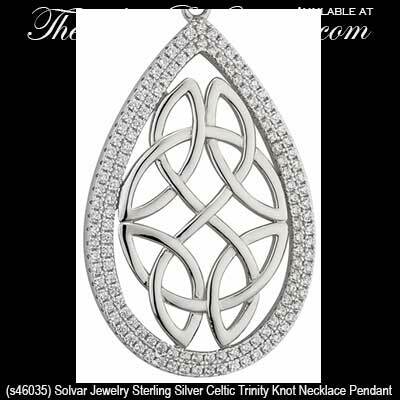 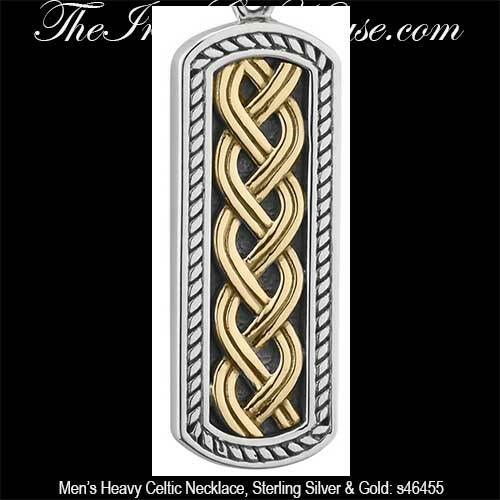 Celtic necklace features a sterling silver Trinity knot that is enhanced with a spiral motif along with 10K gold accents and a diamond. 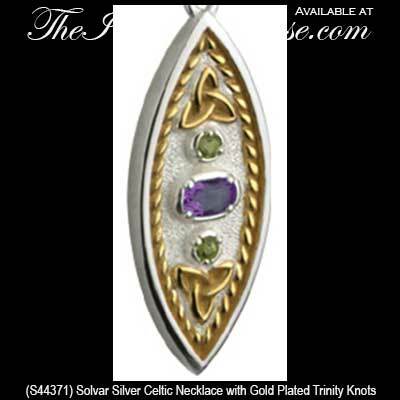 Sterling silver Celtic necklace features a large purple crystal along with the Trinity knot.